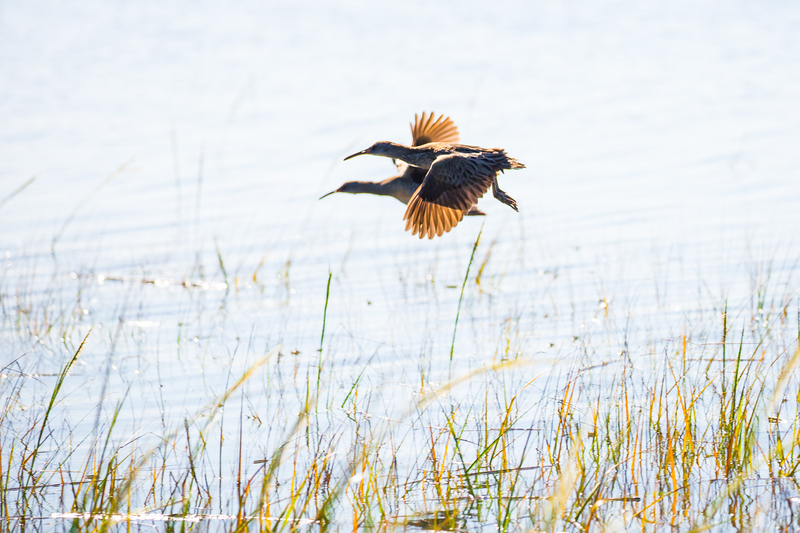 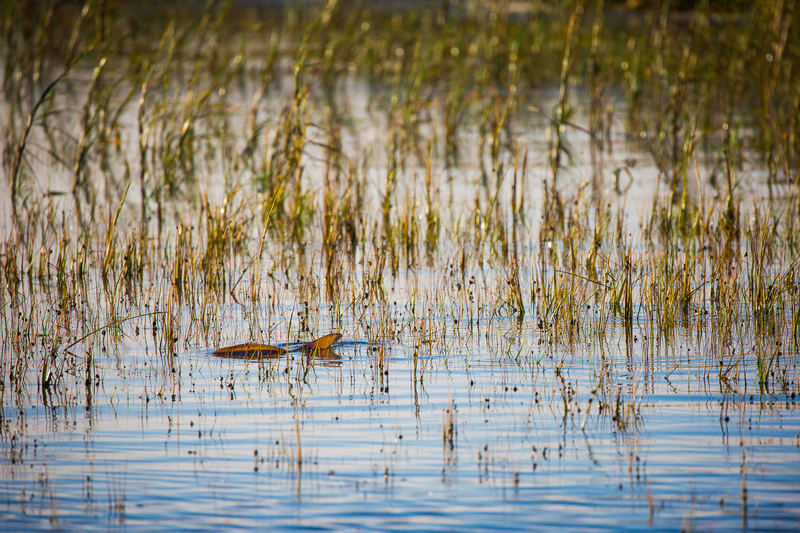 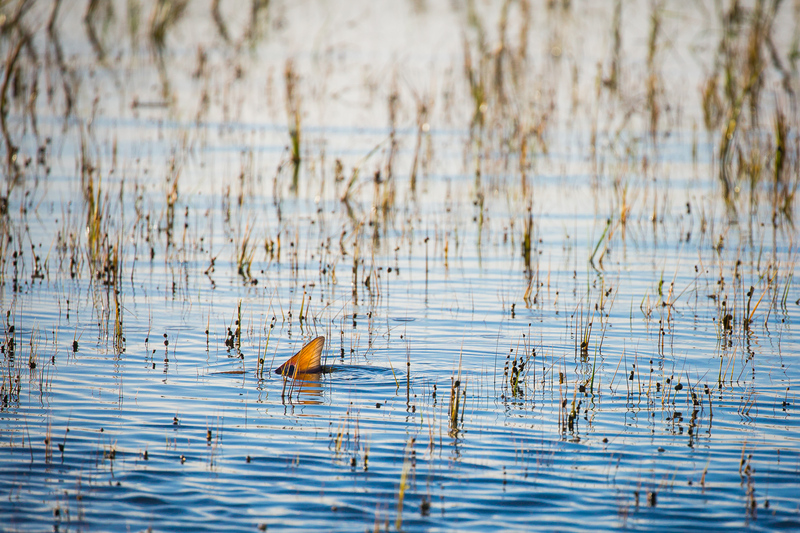 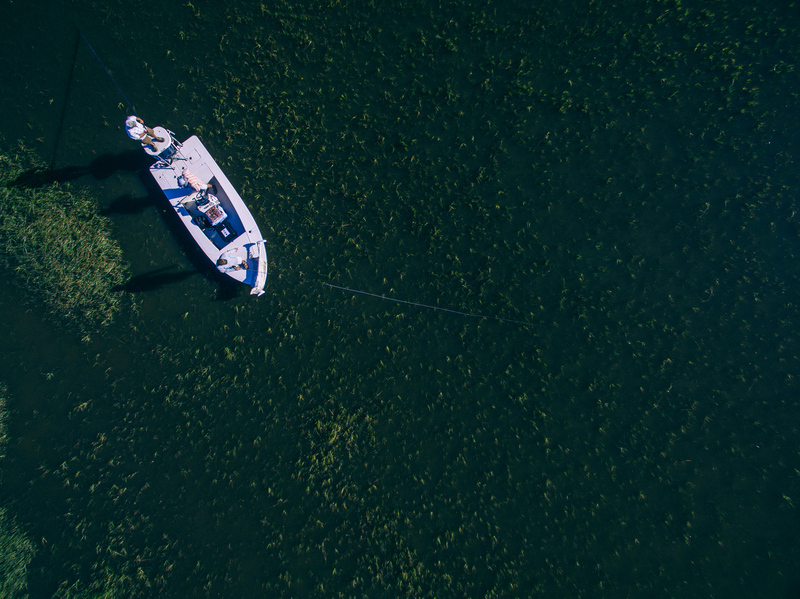 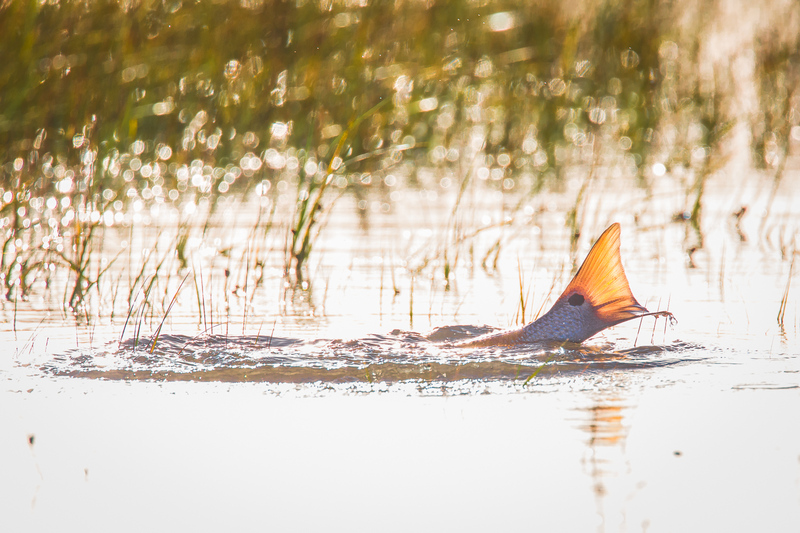 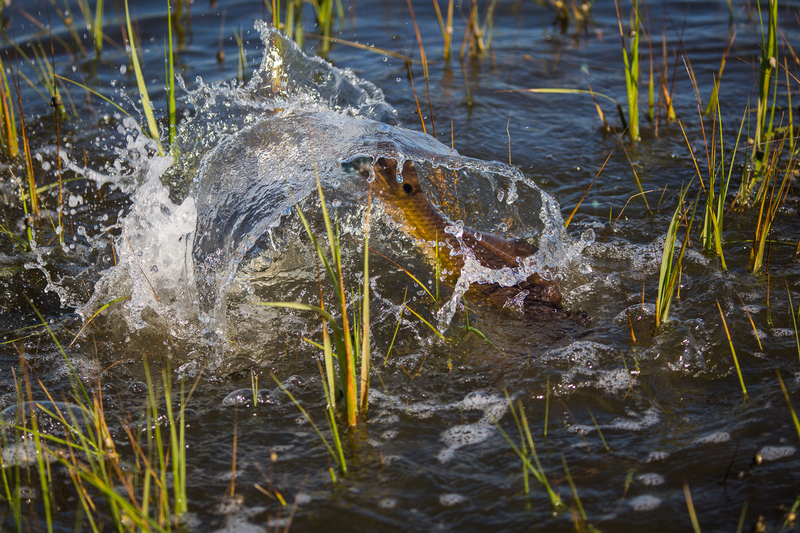 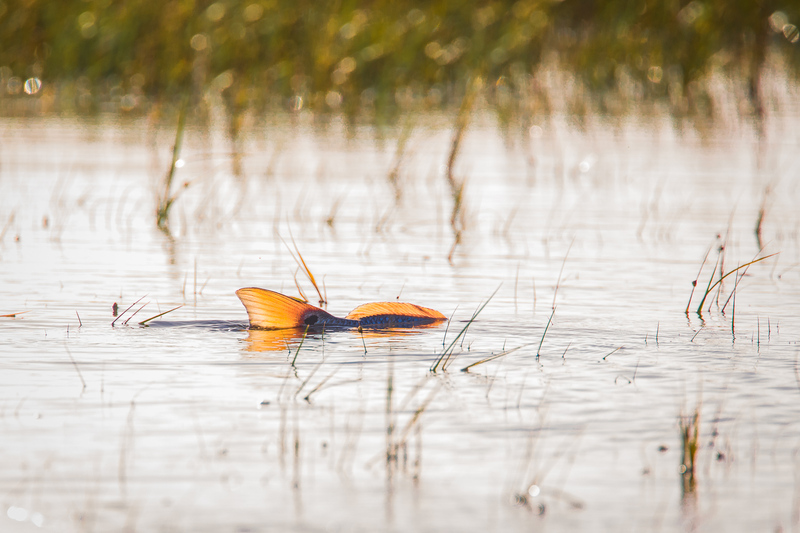 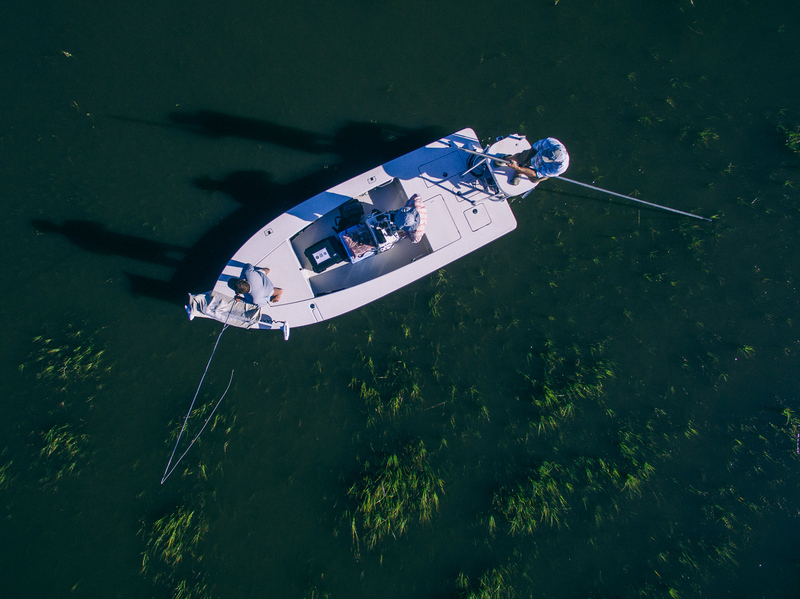 As the tide comes in, when the conditions are right, we look for fish floating in the grass. 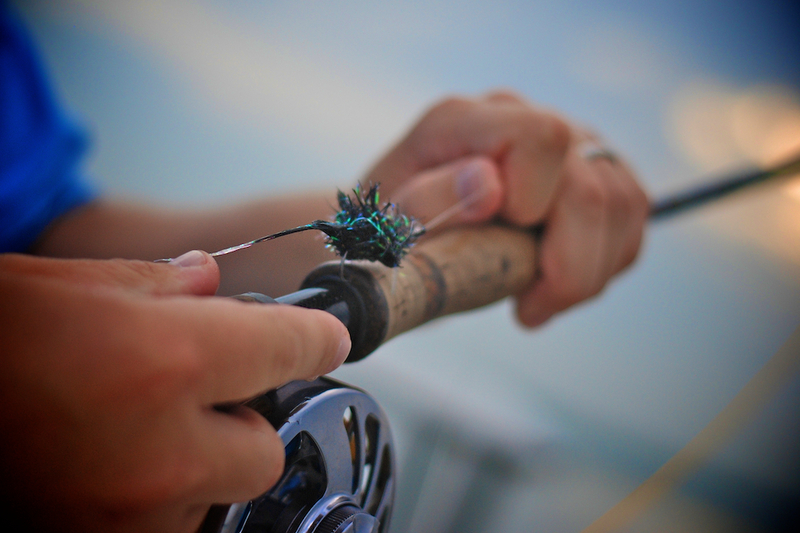 This isn’t fishing for tailing fish. 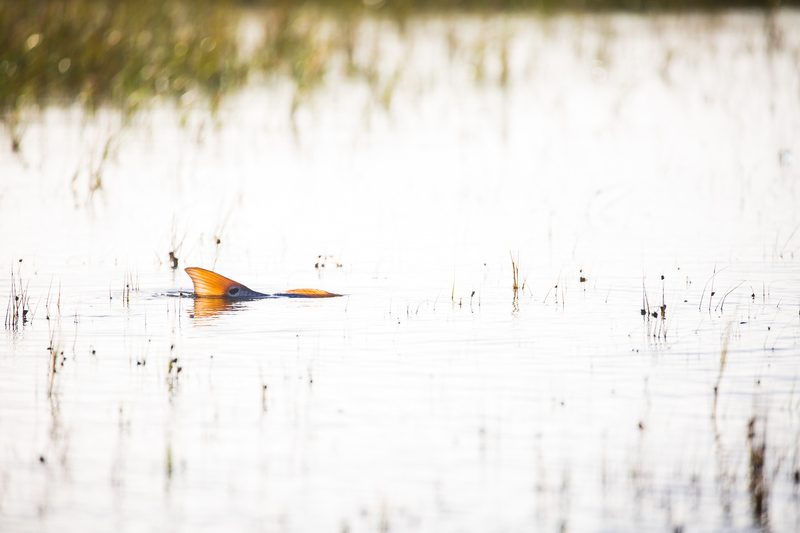 These fish are up against the bank lazing around the high grass staying away from dolphins and trying to get warm. 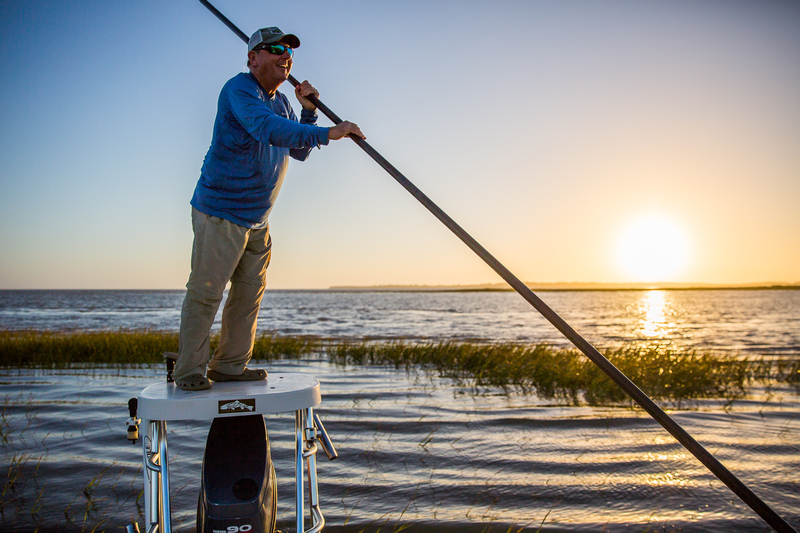 We got a little lucky last weekend and had the perfect combination of wind, sun and tide. 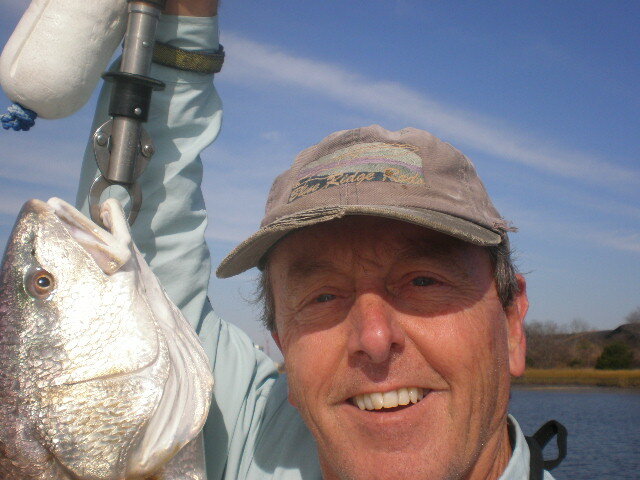 Tim sight casted to this fish. 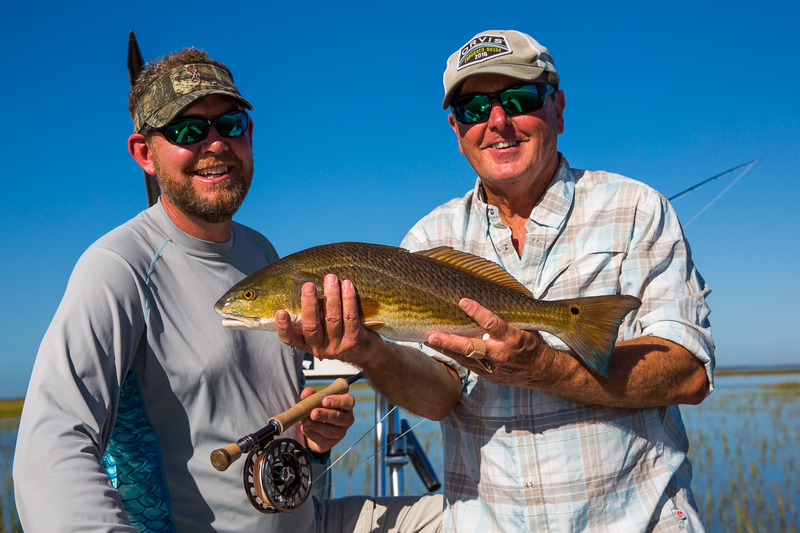 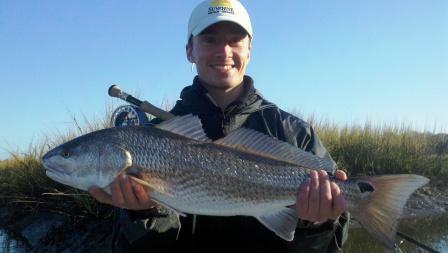 After about ten minutes we netted this 12 lb, 30″ long redfish. 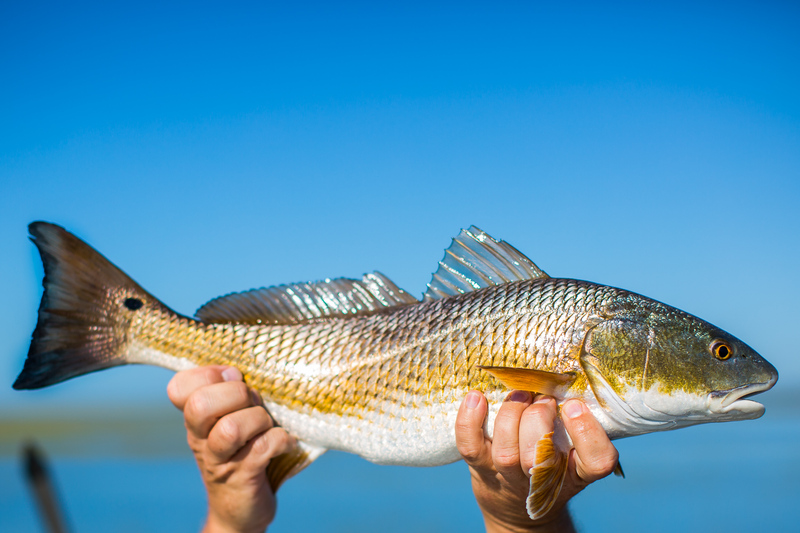 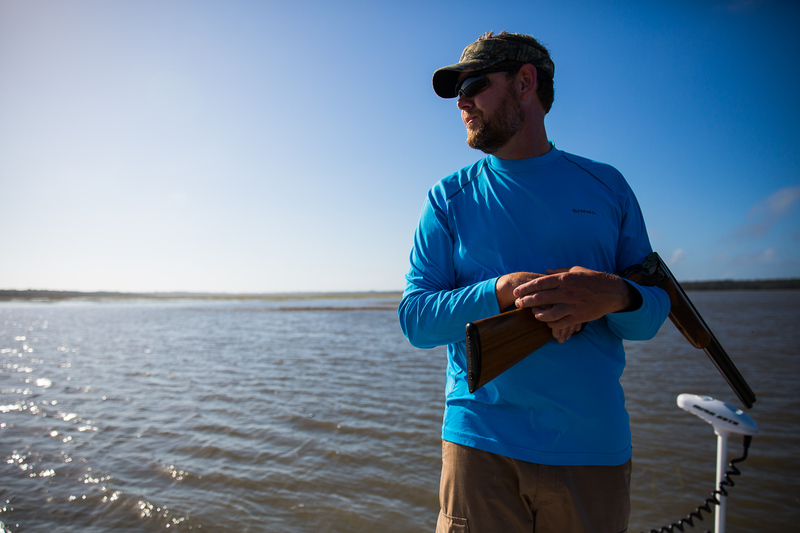 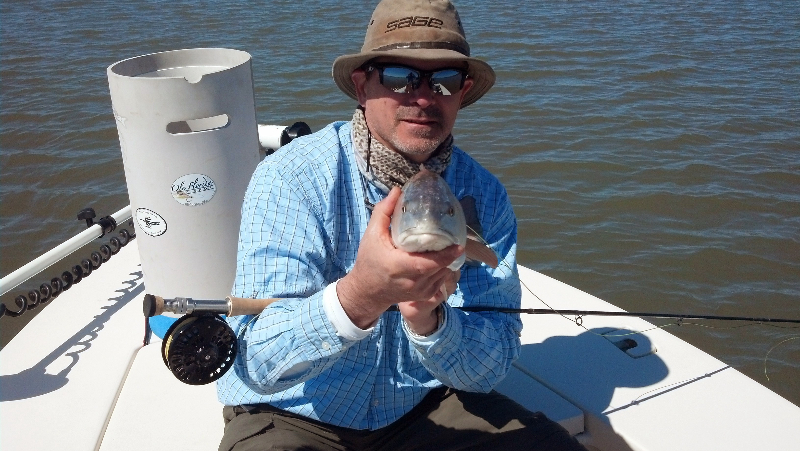 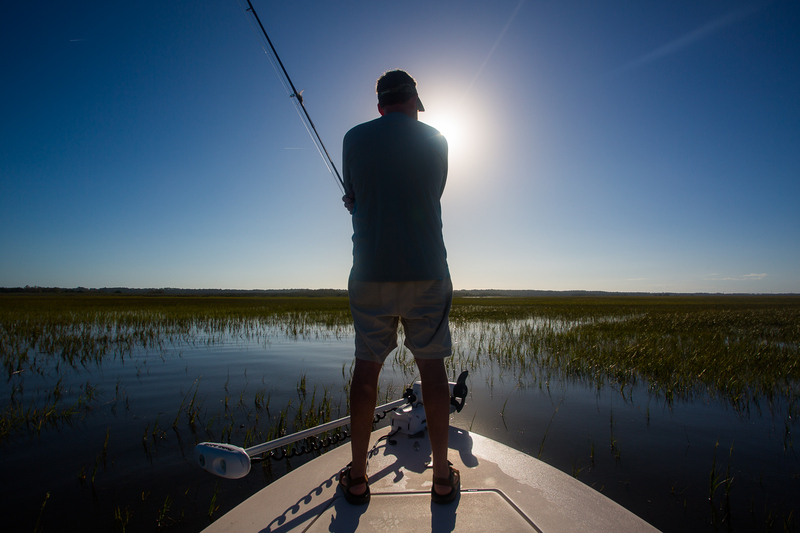 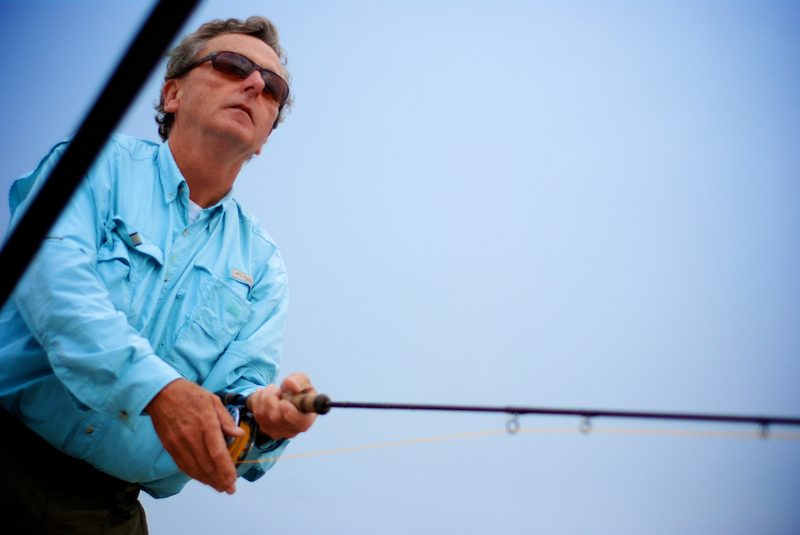 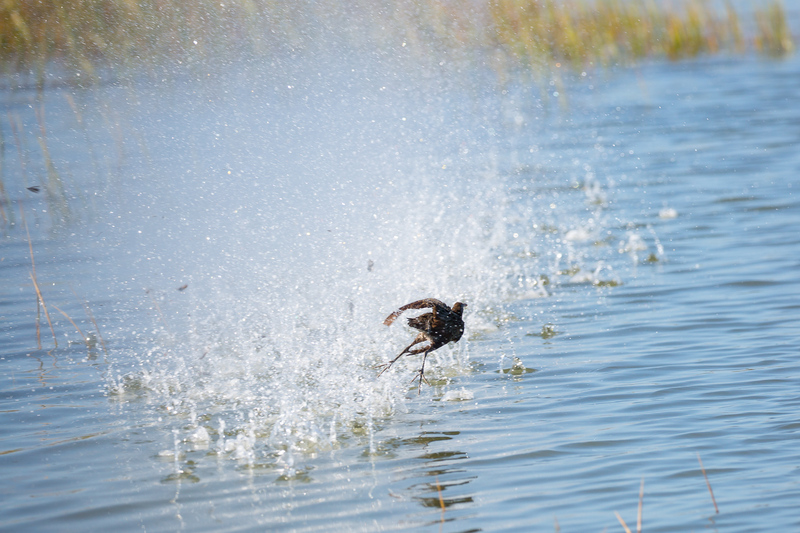 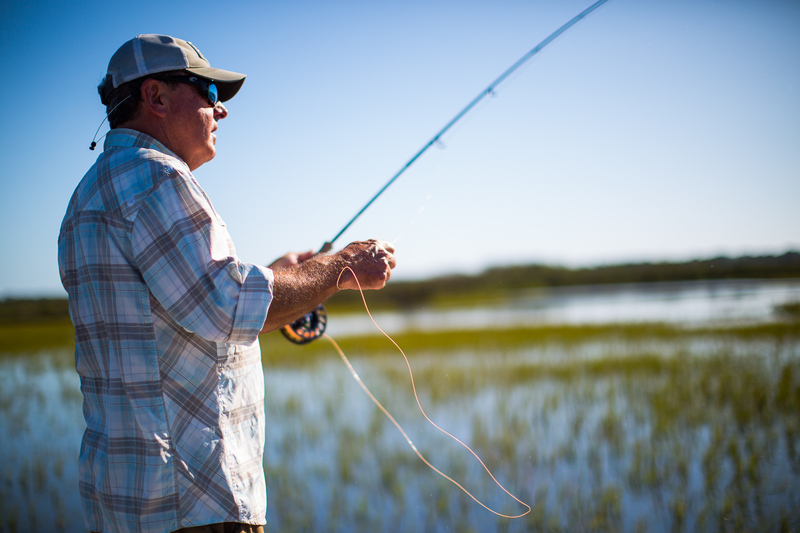 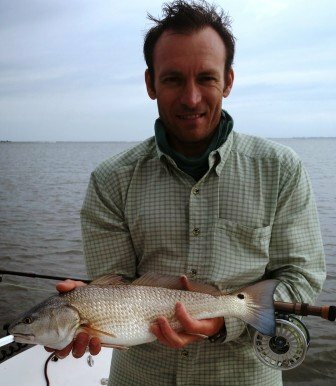 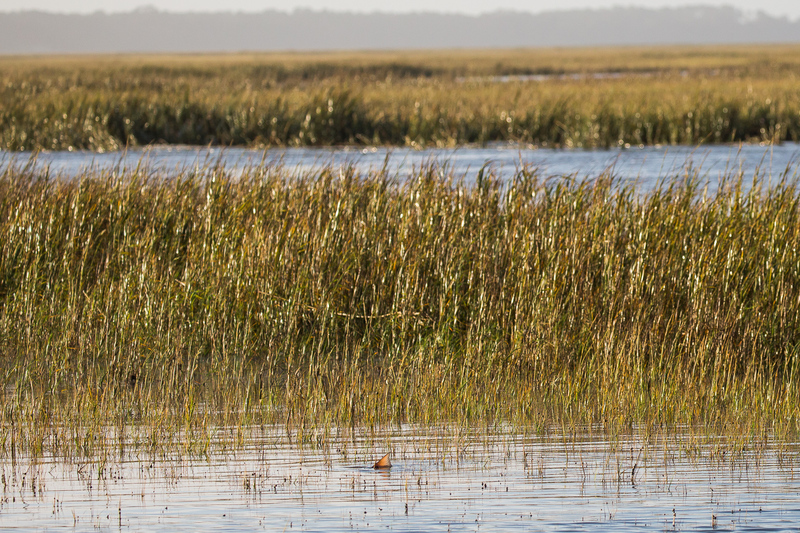 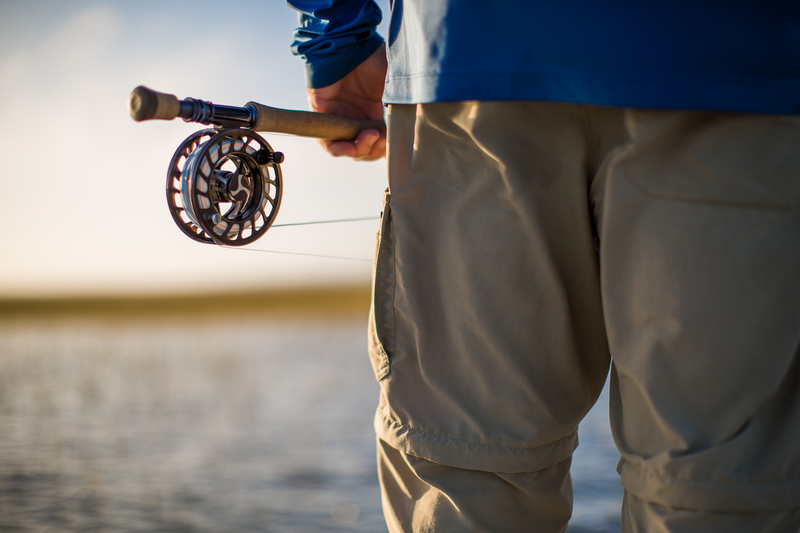 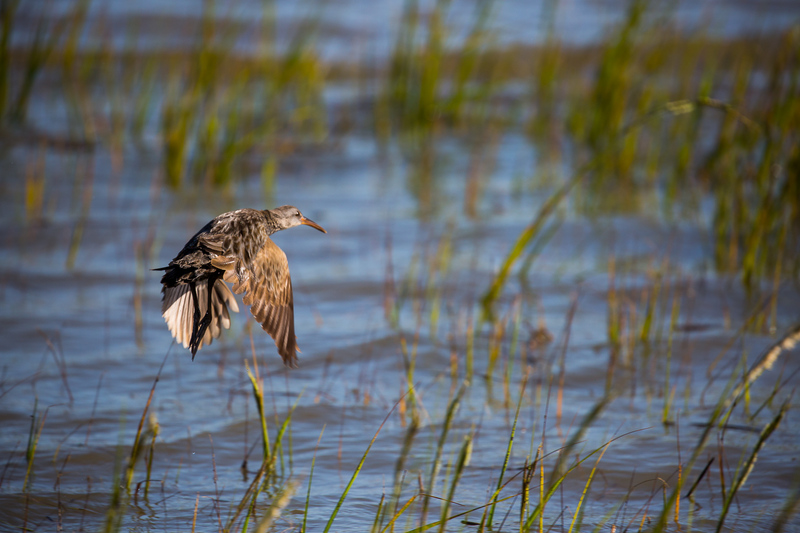 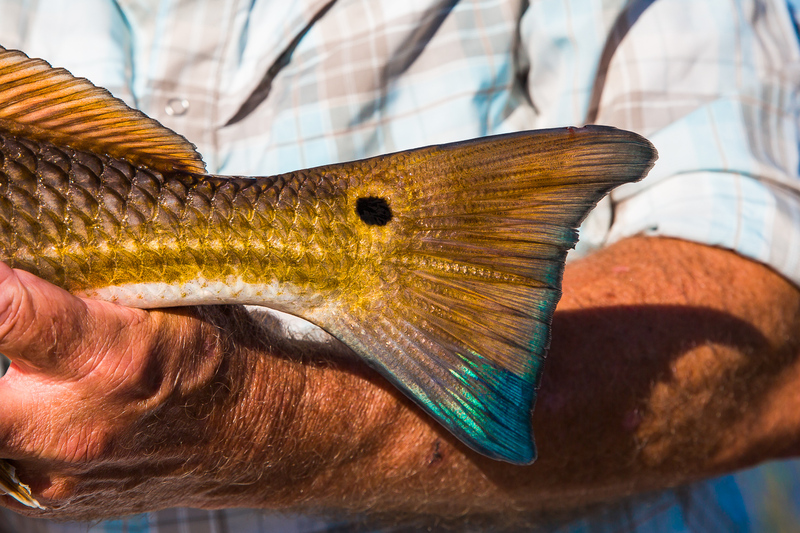 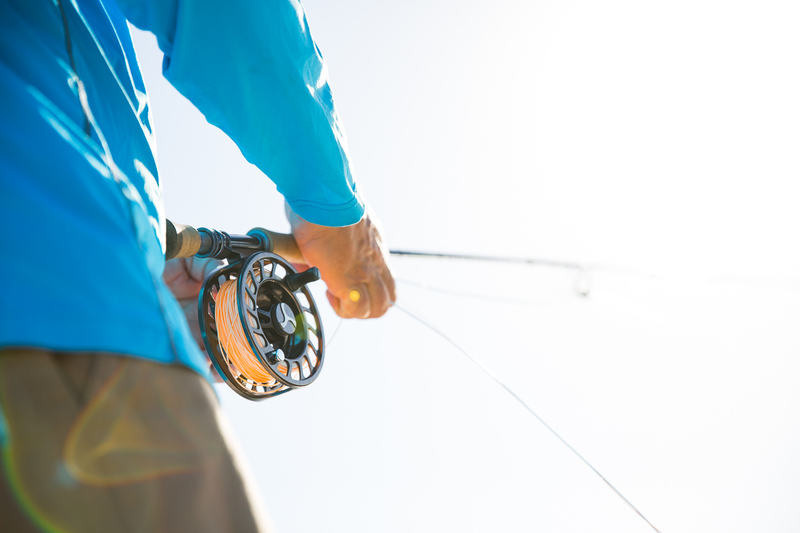 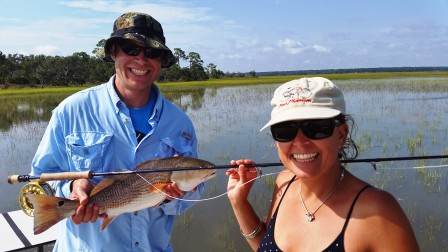 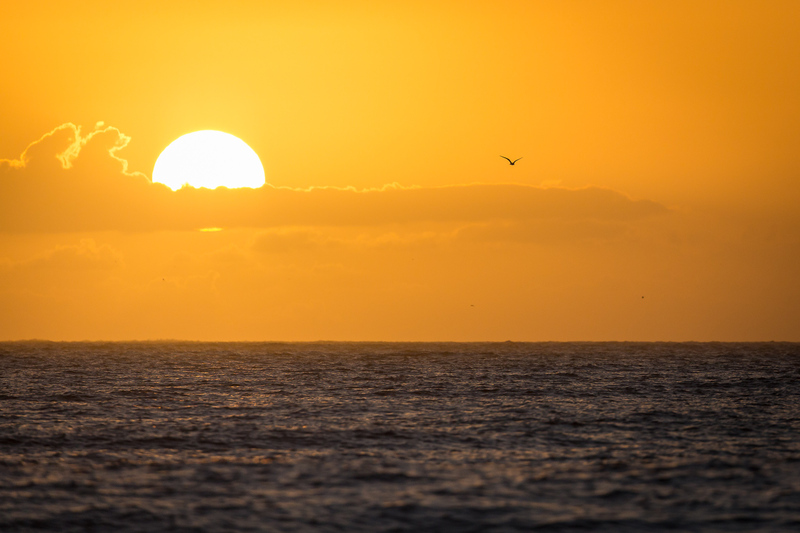 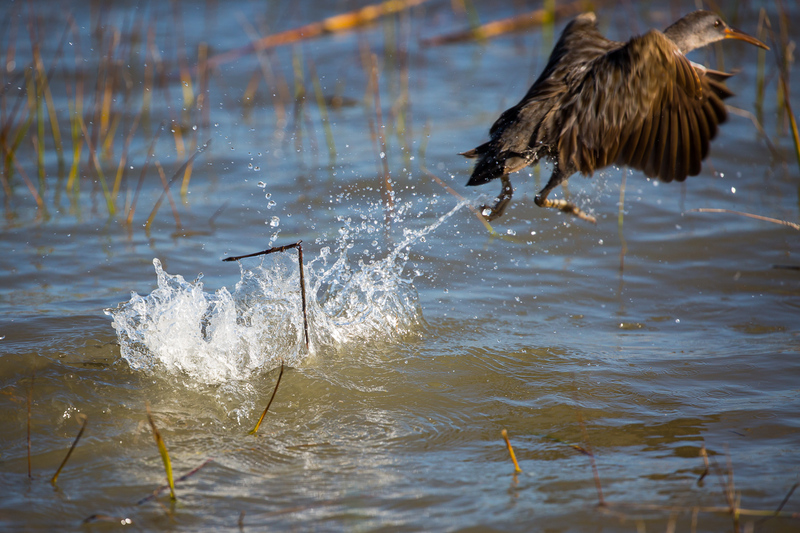 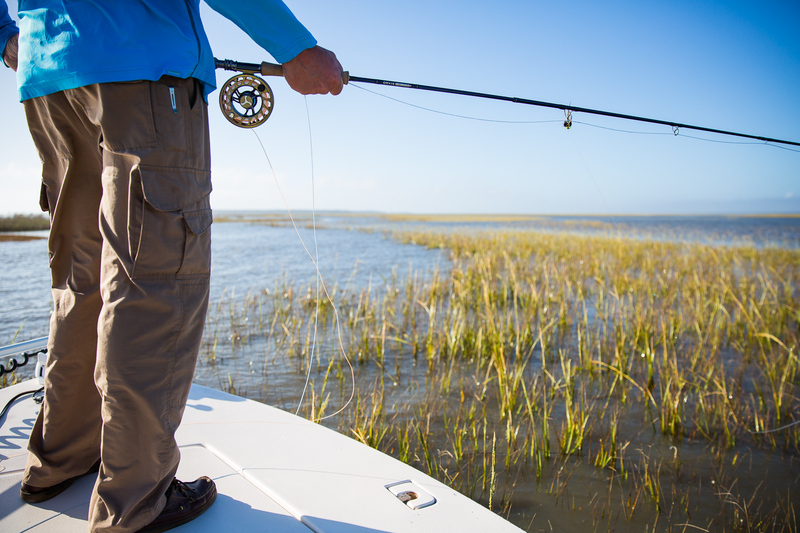 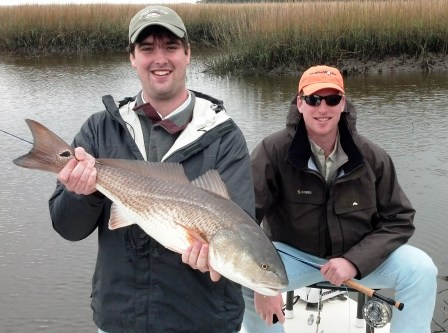 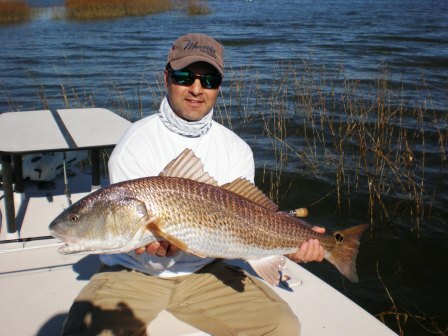 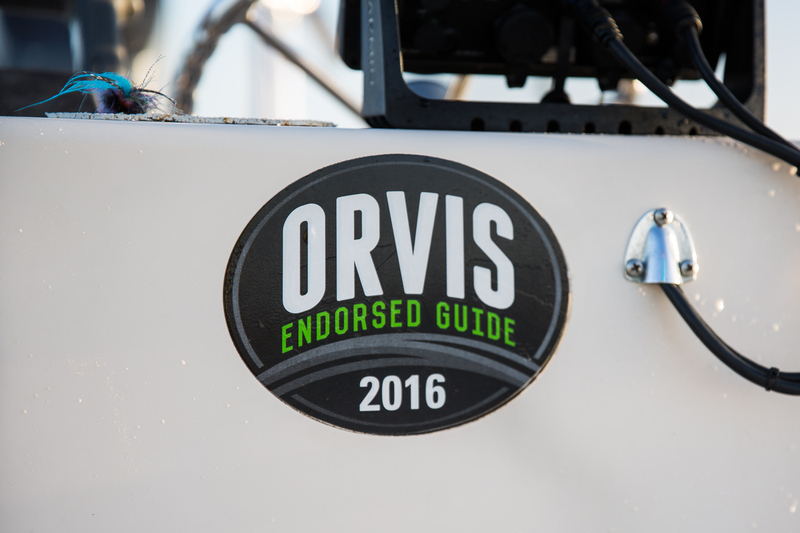 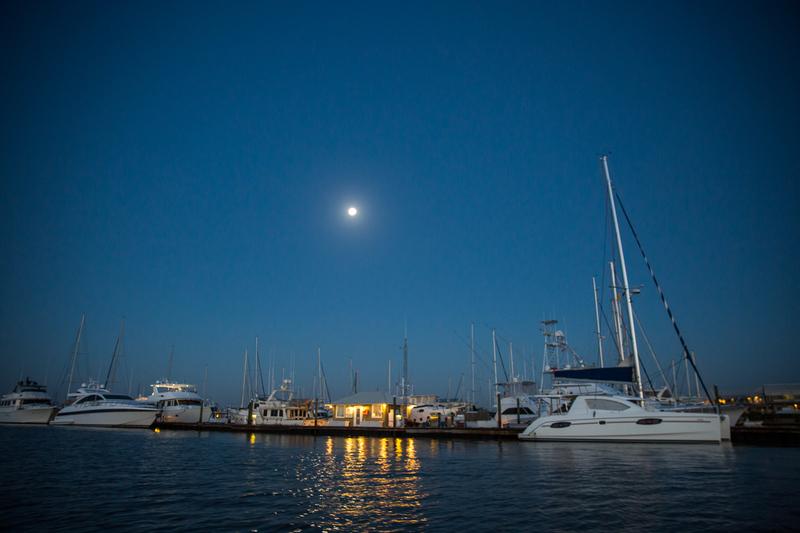 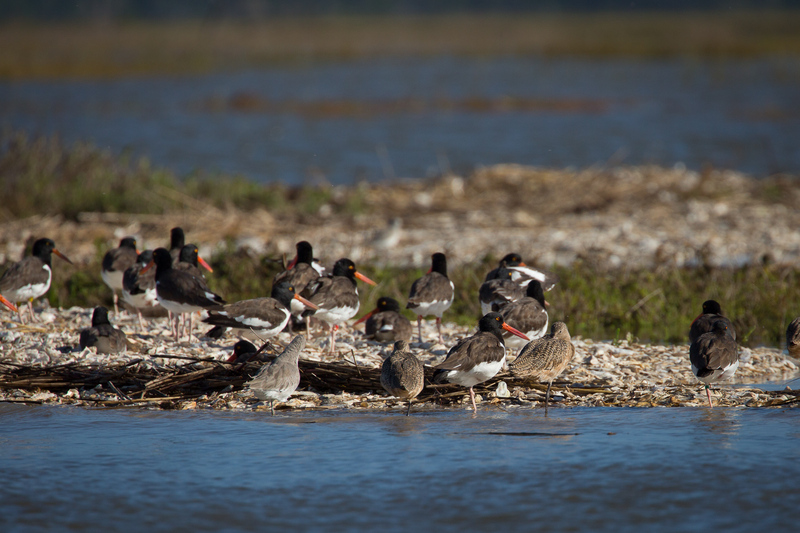 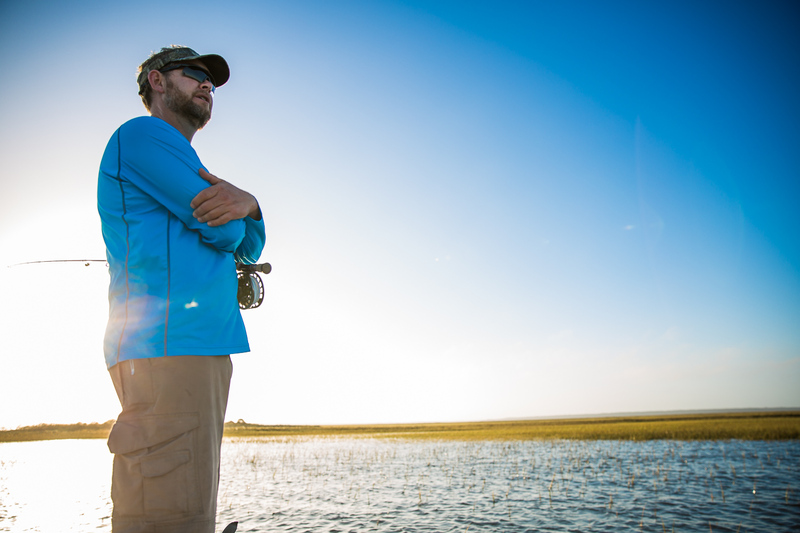 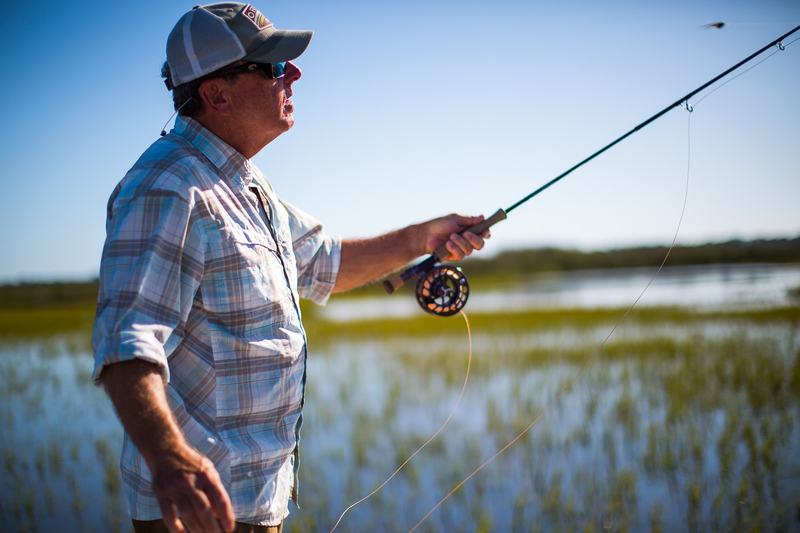 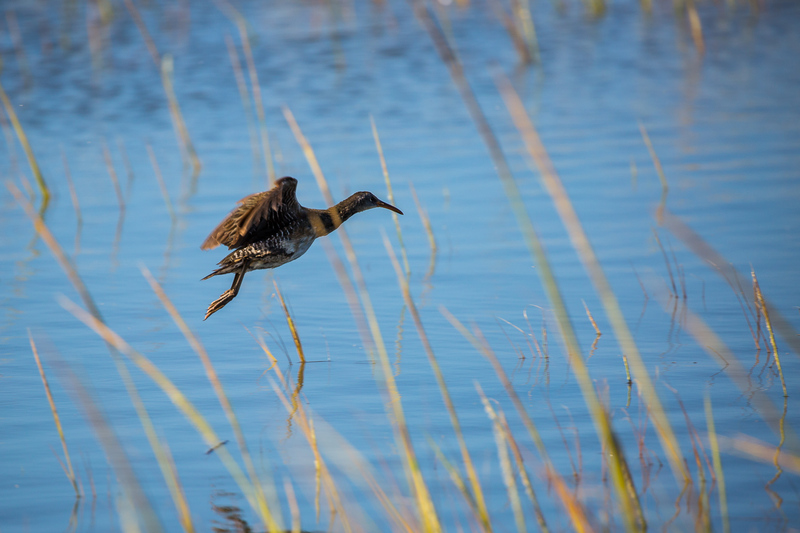 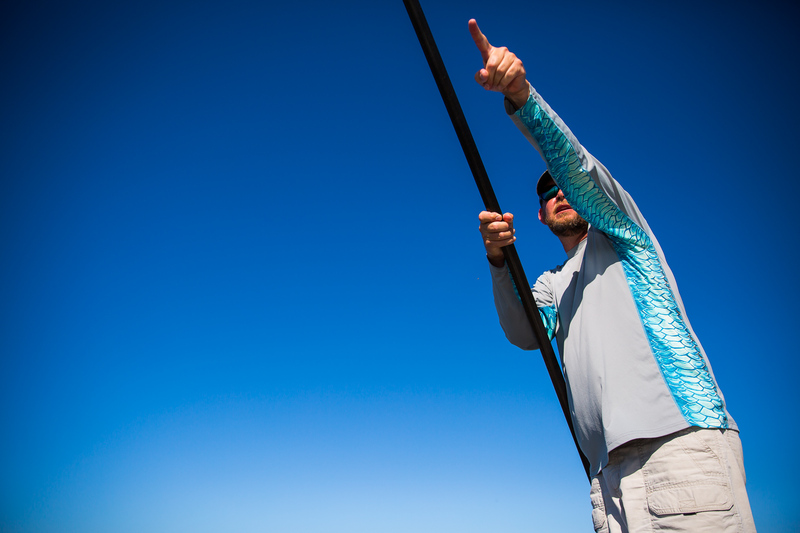 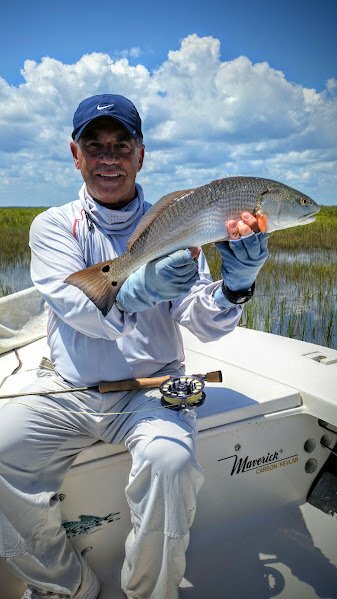 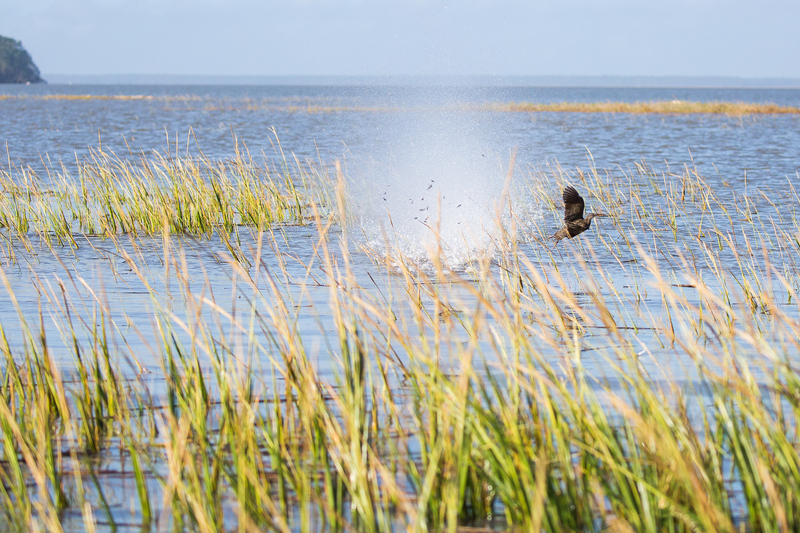 Given the right conditions, late winter fishing can be outstanding in the Golden Isles of Georgia.